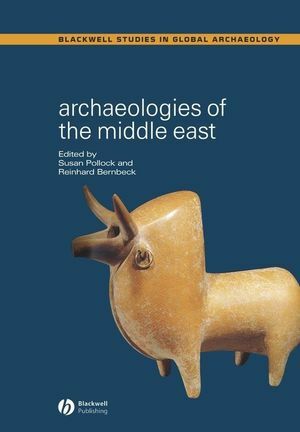 Archaeologies of the Middle East provides an innovative introduction to the archaeology of this fascinating region and a window on both its past and present. Susan Pollock is Professor of Anthropology at Binghamton University, with a specialty in archaeology of the Middle East. She has conducted fieldwork in Iran, Turkey, and Iraq. Her research contributes to studies of political economy, ideology and representation, and archaeology in the media. Reinhard Bernbeck is Associate Professor of Anthropology at Binghamton University. His specialty is the archaeology of the ancient Near East. He has directed and participated in field projects in Syria, Jordan, Turkey, and Iran. He is interested in historiography and theories of praxis and also remains committed to a historical materialist view of the past. 1. Introduction: Susan Pollock and Reinhard Bernbeck (Binghamton University, SUNY; Binghamton University, SUNY). 2. A Cultural-Historical Framework: Reinhard Bernbeck and Susan Pollock. Part I: Producing and Disseminating Knowledge About the Ancient Near East: Reinhard Bernbeck and Susan Pollock. 3. Who Has Not Eaten Cherries with the Devil? Archaeology under Challenge: Caroline Steele (Independent Scholar). 4. Archaeology and Nationalism in the Holy Land: Adel Yahya (Palestinian Association for Cultural Exchange). 5. Archaeology Goes to War at the Newstand: Susan Pollock. 6. The Past as Fact and Fiction: From Historical Novels to Novel Histories: Reinhard Bernbeck. Part II: Reassessing Evolutionary “Firsts”: Reinhard Bernbeck and Susan Pollock. 7. Bleeding or Breeding: Neandertals vs. Early Modern Humans in the Middle Paleolithic Levant : John Shea (Stony Brook University, SUNY). 8. Lumps of Clay and Pieces of Stone: Ambiguity, Bodies, and Identity as Portrayed in Neolithic Figurines: Ian Kuijt and Meredith Chesson (University of Notre Dame; University of Notre Dame). 9. The State: The Process of State Formation as Seen from Mesopotamia: Jean-Daniel Forest (Centre National de la Recherche Scientifique, Paris). 10. Archaeology, Bible, and the History of the Levant in the Iron Age: Israel Finkelstein (Institute of Archaeology, Tel Aviv University). 11. Imperialism: Mario Liverani (University of Rome). Part III: Constructing Arguments, Understanding Perceptions: Reinhard Bernbeck and Susan Pollock. 12. Ethnoarchaeology, Analogy, and Ancient Society: Marc Verhoeven (University Museum, University of Tokyo). 13. The Ancient Sumerians in the Tides of Time: Petr Charvát (Academy of Sciences of the Czech Republic and Charles University, Prague). 14. Reliquaries on the Landscape: Mounds as Matrices of Human Cognition: Sharon Steadman (SUNY Cortland). 15. Archaeology and Texts in the Ancient Near East: Paul Zimansky (Boston University). 16. Representations, Reality, and Ideology: Jennifer Ross (Hood College).